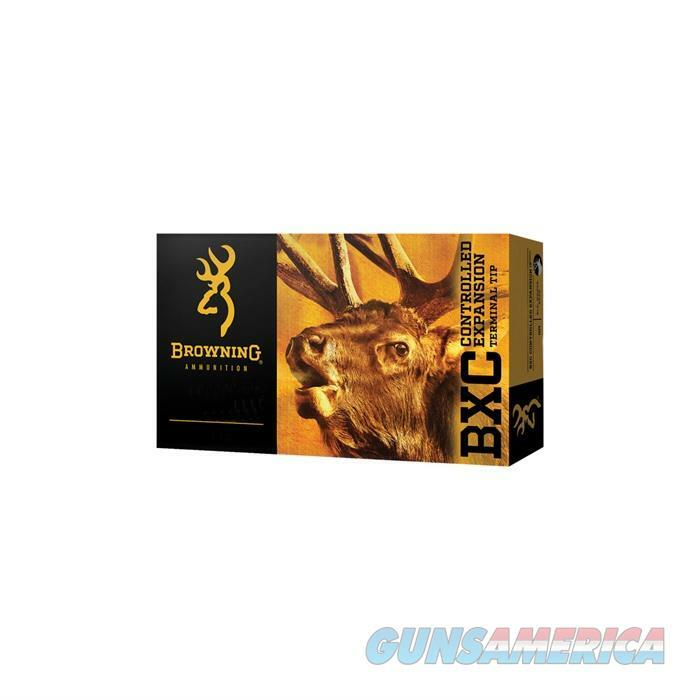 Description: Browning Ammunition B192202701 BXC CONTROLLED EXPANSION 270 WIN 145GR TERMINAL TIP The 270 Winchester 145gr BXC Controlled Expansion Terminal Tip is designed specifically for use on Big Game like elk, moose, mule deer and bear. The Terminal Tip and bonded bullet design allows for deep penetration through thick, tough hide and bone. The brass tip, heavy bullet weight and boat-tail are integral components to delivering precision accuracy, maximum downrange velocity and long-range, on-target performance. If the item is out of stock, SkyArms will allow customers to backorder the item. However, the factory Browning does NOT allow us to backorder items. As soon as Browning has the part available and we are allowed to order the part, we will do so.